Modified laced-in lapped component binding using laminated paper printed with polymer plates, sewn over four tapes, edges trimmed and colored, goatskin ‘pre-pairs’ (patches) pasted, sewn, and/or laced on, ink, vinyl and acrylic paint decoration. This binding references those intriguing books that have accumulated layers of history, home repair, and minutiae that often work to obscure each other. The composite often reveals an engaging makeshift elegance, offering clues to the history of its long and varied life. 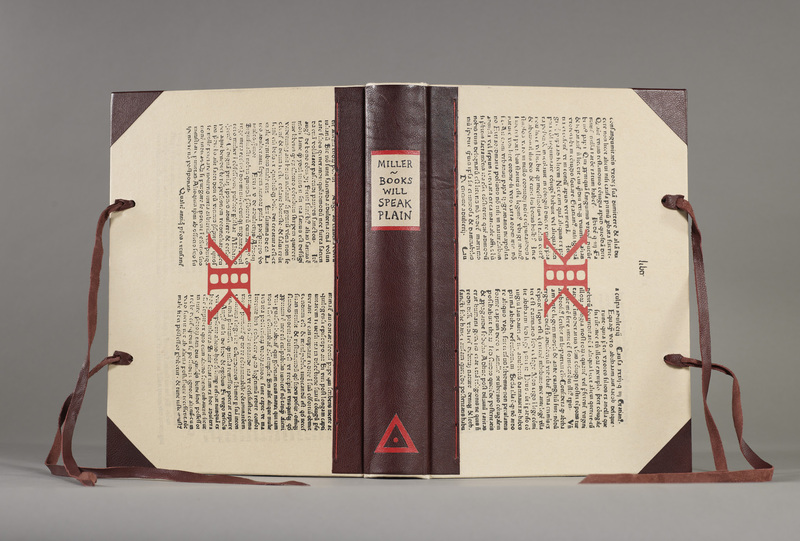 Scott Kellar has been binding and restoring books for over forty years. He worked in the bindery at The Newberry Library and was Collections Conservator at Northwestern University. He is now in private practice.